A pop culture takeover is in progress. Virtual reality is redefining experiences and changing how consumers interact with brands and products. For those of us who want to be somewhere but cannot physically make an event, for whatever reason, there is a simple solution for that now – a virtual reality headset. Brand activations are effective in communicating specific brand messages. Brands or product offerings that are new to market are able to extend brand reach and build relationships with consumers and potential consumers alike. Using consumer engagement channels, such as social media, memorable advertising campaigns and experiential marketing events, brands can establish and own a particular position in a marketplace. As a brand, you want consumers of your product offering to have good things to say about you and prefer your name over other competing brands. The question then becomes; how do you expose potential brand followers to your unique offering. This can be achieved through a number of avenues. These include in-store retail marketing, product samplings, sponsorships, and experiential events. In building desirable perceptions, brands need to uncover unique points of difference that set them apart. This includes distinguishing core product/service features that will differentiate them amongst their competition in saturated marketplaces. This will also define the brand positioning which will reveal assets that highlight long-term benefits to the business. Brands need to find ways of reaching potential customers that are able to shift perceptions and create genuine emotional engagements. These moments of truth – between brand and consumer -must inspire positive impressions in the minds of brand followers and prospects. If this is achieved, it will result in a loyal customer base and strengthening your brand positioning and owning a distinguished place in the marketplace. Global brands are using live experiential marketing to aid in positioning the brand in consumers’ minds by attracting and emotionally engaging them in personal, memorable experience. Brands now also have an alternatives and opportunities to make these events more impactful. More and more, physical experiences are merged with digital experiences in order to encourage participants to actively engage and create lasting memories. Trying to get brand ambassadors to describe the value of your product and inspire the emotional response and satisfaction they would get from experiencing your offering, might be difficult to accomplish. A 360° virtual reality video could be the best brand ambassador on your team. Through the use of VR, experiential marketing campaigns are now able to enhance the experience of your product/service offering for consumers. Virtual reality allows you to communicate what your brand is about and what it can deliver for potential consumers. Instead of telling a consumer about what an experience could feel like, why not hand them a Google Cardboard and let them experience it first-hand instead. An experiential marketing campaign enhanced with virtual reality can be the answer to adding complimentary value for your target audience and differentiating your brand from others. 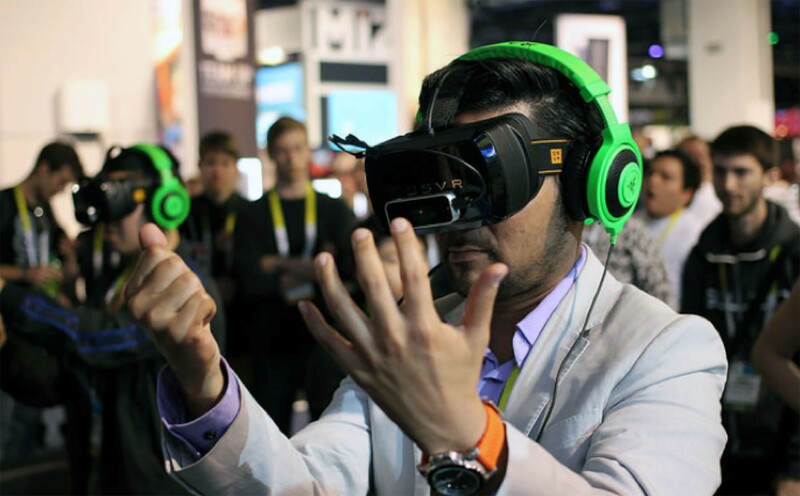 Virtual reality has been a fast growing trend that is expected to command a significant portion of content delivery markets. Being the first to introduce your target audience to the exciting technology will attract a lot of attention and spread the message of the innovativeness of your brand (in your particular industry). Audiences will be driven to go on social media platforms and share stories about their virtual reality experience and the brand that made it possible. You want consumers to gain a better understanding of a message that your brand is attempting to convey. The best way to do this is through offering a virtual experience. A experiential marketing campaign can do more than just replicate something that the brand already offers. By augmenting an experience using virtual reality, you are reinforcing the brand message and communicating your brand identity better with consumers. Consider for instance that your brand offers a product that makes “manly task” around the house easier to perform, such as an improved version of a traditional tool. The brand’s goal becomes making man feel like heroes if they use the product. The campaign could thus be providing virtual experiences that allow participants to be super-heroes for a few moments and saving the day. In this way, the message is a lot clearer. You are not telling consumers what they could achieve but instead, you are letting them experience it. There are additional benefits of using virtual reality in experiential marketing that you might not have considered. Brands want to minimise risk of accidents, where consumers are involved as much as possible. Through a virtual reality campaign, you are able to provide experiences that are associated with risk, without any risk. For example, a car brand can prove how fast their new car model is, without running the risk of a car accident. For brands that offer products and not services, you may be asking yourself how you can apply and take advantage of VR. Anheuser-Busch is proving that virtual reality is for everyone and can benefit brands in a variety of industries. Anheuser-Busch is not new to the experiential marketing arena. Their substratum beer brand, Budweiser, has previously imbedded itself inside Ironwood Hall on East Seventh Street (Austin, USA) and transformed the venue into the Budweiser Beer Garage for South by Southwest. The experience that got the most attention in the garage was the 4D immersive reality Budweiser Brewery Tour. People attending the event were able to strap-on a VR headset and be instantly transported to the Anheuser-Busch facility in St. Louis. They were able to go on a multisensory tour, seeing, hearing and smelling the scents of the facility before finally getting to taste the famous beer. The current application or use of virtual reality is largely consistent of marketing/branding campaigns (Brand activations). This usually involves content that is sponsored and centred on specific events. The vodka brand, Absolute, started offering virtual experiences for audiences. For their fist virtual reality viewing party, which took place in New York City they sent out 5,000 custom Google Cardboard headsets so jazz fans could experience the concert live from their homes. The main reason for producing an experiential event is to inspire consumers to act. It could be that you want them to make a purchase or share the experience on social platform (increasing brand awareness). Ultimately, you want to reach people on different levels (logical, emotional, psychological) so that they walk way from an even recalling the feel, taste and texture your product had, as opposed to just reading about it. Virtual reality offers a platform to deliver this and heighten the experience of your product or service offering.